Marham Park, Bury St Edmunds Showhomes launching this Weekend! Join us for the launch of our superb 4 bedroom Showhomes, The Bredon and The Titchfield, this weekend, 23rd – 24th March at Marham Park. 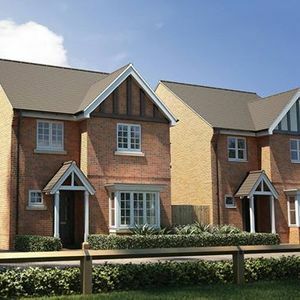 The Bredon and Titchfield both boast four bedrooms and come complete with garage and two parking spaces. Located in picturesque Suffolk countryside, Marham Park is an exciting development of new homes in a sought after location. The town centre of Bury St Edmunds is just two miles away, offering a range of shops, schools, the railway station and leisure facilities. With 50 years of build excellence under our belt, you could be moving into the home of your dreams. Our friendly Sales Advisors will be on hand to give you more information and to help get you moving. Click here to arrange an appointment today!